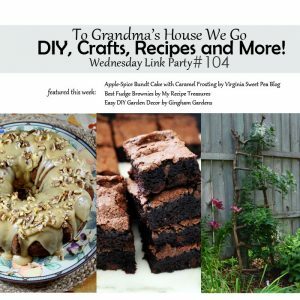 Lately, as Spring has arrived, I have been dreaming about what changes I want to make to our outdoor spaces. 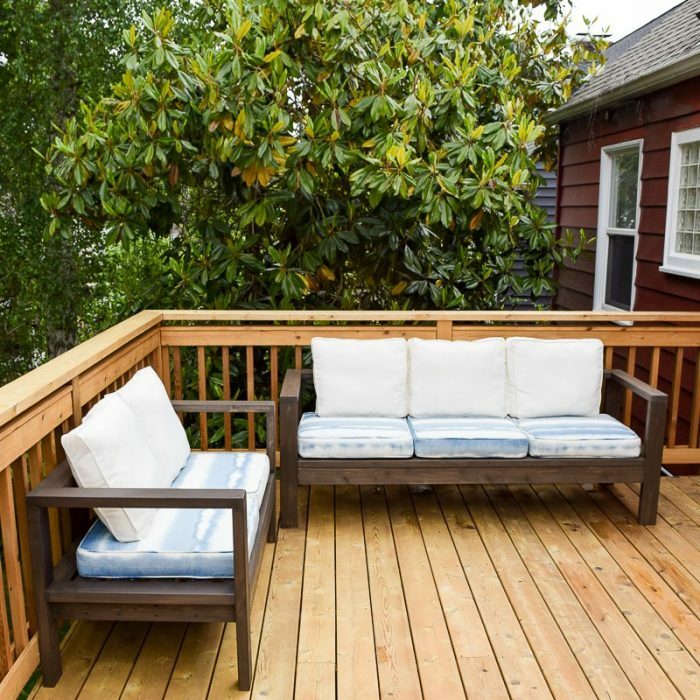 We are lucky to have a really large deck in our backyard, a gorgeous large front porch, and many flower beds. Some of the changes will be landscaping, some will be adding flowers/shrubs, but others will be some really awesome builds! 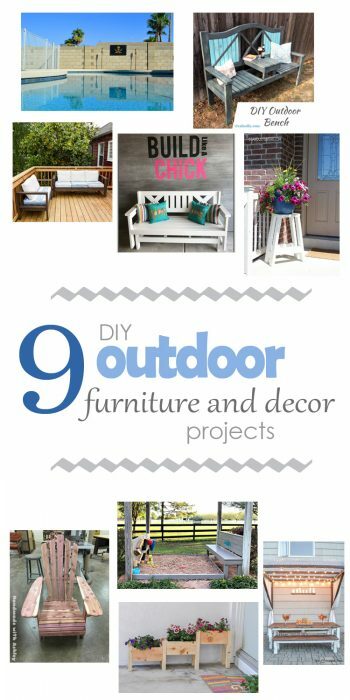 As I was looking for good ideas on what kind of builds, I compiled this round-up of outdoor furniture and decor to share with you. They are some of my favorites! (And are shared with full permission from the bloggers who posted them.) I hope you like them and find that they would be decently easy builds for all of you too! 1. 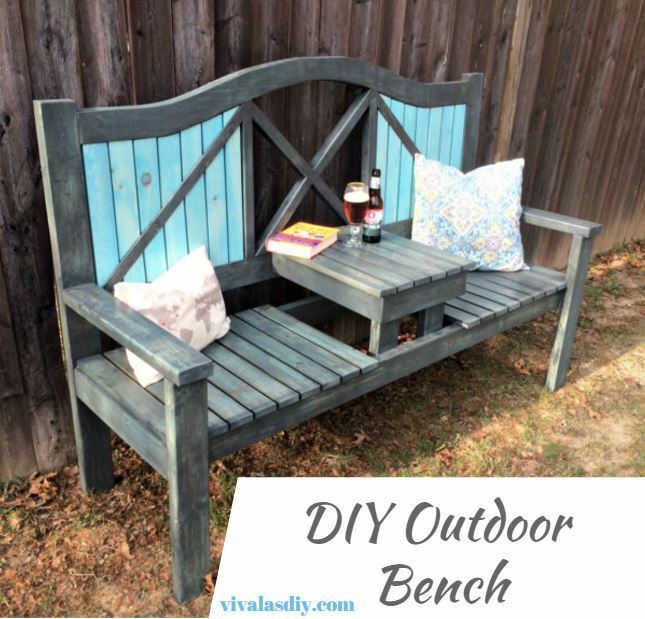 This DIY Outdoor Bench is just awesome. Ari at Viva Las DIY built this bench for the IG Builders Challenge and did a fantastic job making it her own. I absolutely love the middle table section to hold drinks or a book.Check out her full tutorial and maybe you’ll find some inspiration to build one yourself! 2. 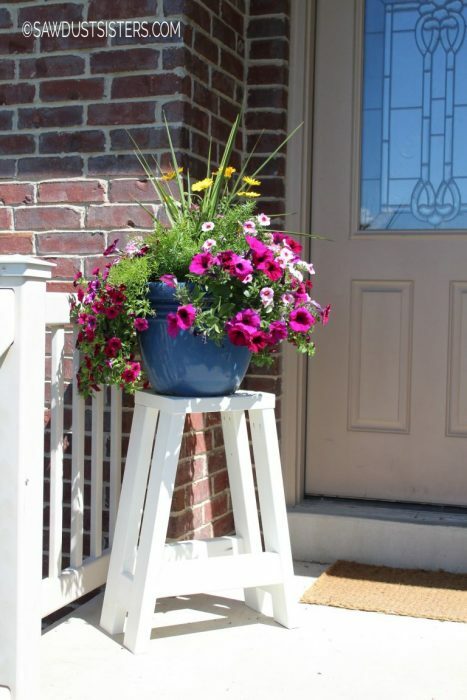 Now, these DIY Bar Stools aren’t strictly outdoor furniture, but I absolutely love what Janice from Sawdust Sisters did by putting them on her front porch and using them as plant stands when not being used as a stool. Sometimes we have extra people over and it’d be great to have a few extra seats while we sit on the porch and chat. And they’re made with just 2x4s! 3. 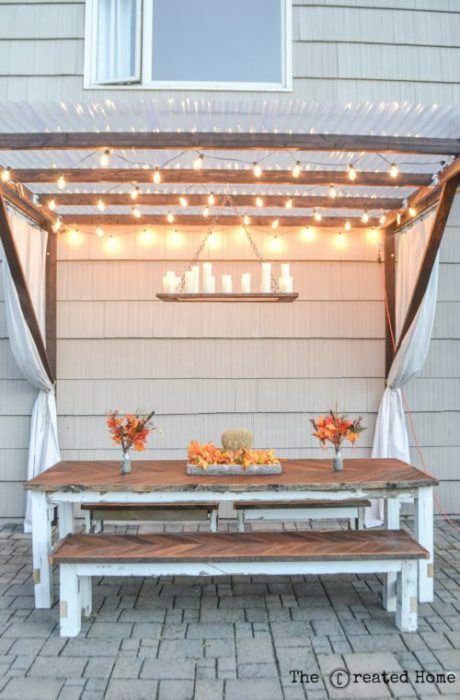 Now this Super Frugal Pergola is absolute genius! I don’t have a good space for it at my house, but it would have been perfect at my old house and I know many people that have a space to make this happen. 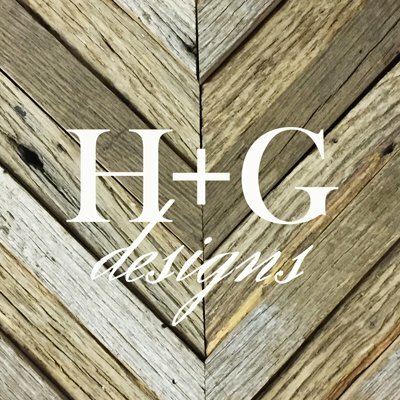 Sarah at The Created Home is one of my favorite DIY builders online, and this project is one of many she’s built that I absolutely love. Check it out! 4. 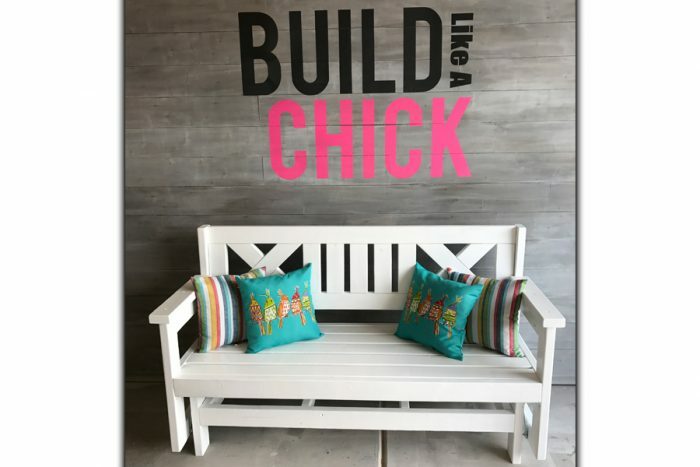 I adore this Farmhouse Outdoor Glider Bench by Ashley at Build Like A Chick. It’s absolutely beautiful! And if you don’t have room for a full swing, or just don’t prefer one, this glider is a really great option! 5. Do you need a lot of outdoor seating? This Outdoor Sofa and Loveseat that Vineta at The Handyman’s Daughter built would be perfect! Simple lines, easy build, and really just a great DIY project to boot. 6. 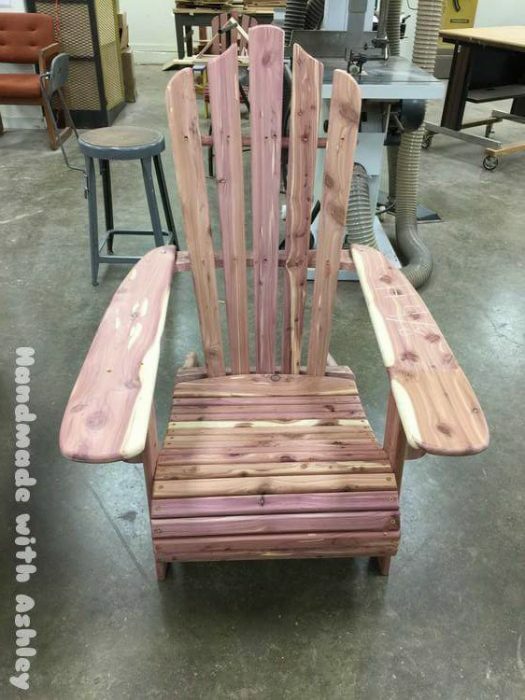 How gorgeous is this Adirondack Chair build by Ashley at Handmade with Ashley?!? I love all the hard work she put into it, and while it’s not a simple build, it’s definitely worth the work! 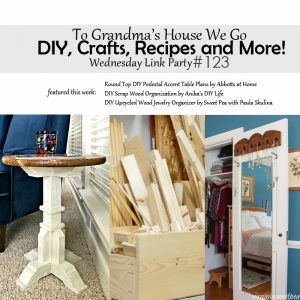 Check it out for some great DIY inspiration! 7. 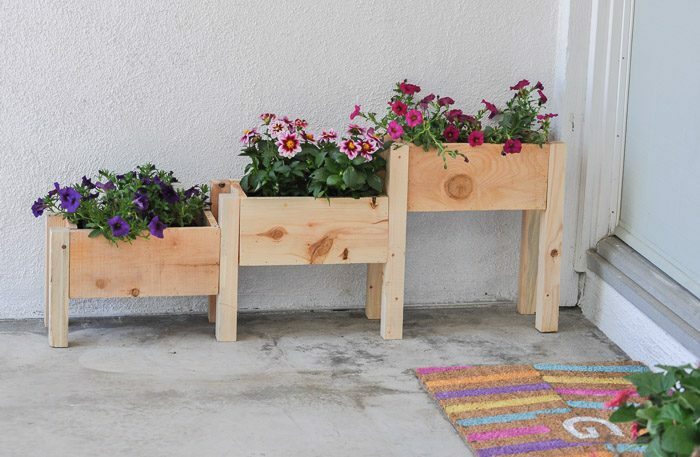 These Tiered Planter Boxes are certainly something that I’ll be building for my large front porch. Anika at Anika’s DIY Life built these with very little money and they look great! Can’t wait to get started on them. Check out how she built them! 8. Do you have kids or grandkids? How amazing would a little area be for them? 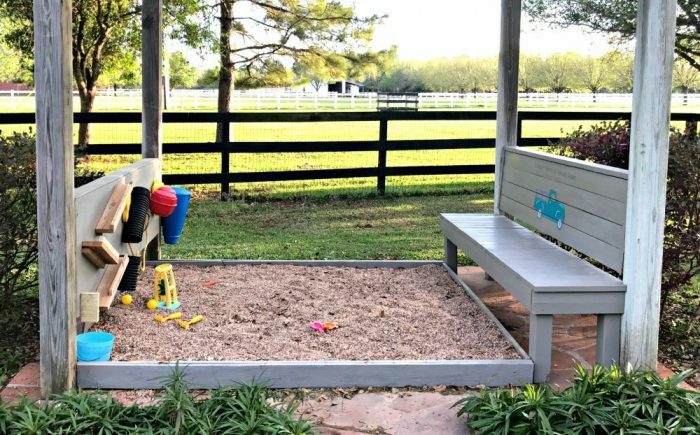 I just love this DIY Kids Gravel Play Area that Stephanie at Abbott’s At Home did with this small spot in her yard to make it perfect for spending time with her kids! 9. 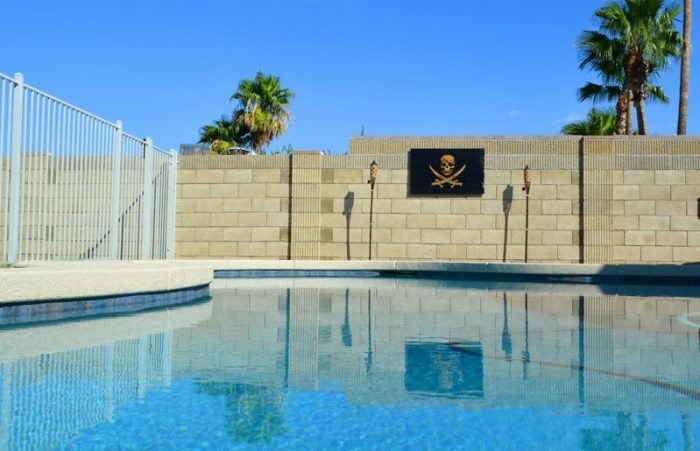 On the outdoor decor side of this post, I thought this Burned Pallet Wood Pirate Flag by AZ DIY Guy is pretty rad. My son would totally love it and I’m pretty sure I would too. Thank you for reading! I hope you found some inspiration or new projects in these! 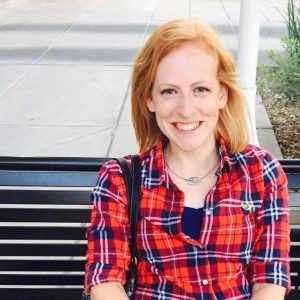 Be sure to check out those other bloggers! 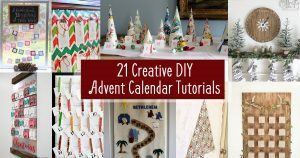 If you like this post, please PIN this image to Pinterest! If you’re looking for some more round-ups, check these out: ROUND-UP#2 DIY DESKS, Scrap Wood Projects! RoundUp #1. Great projects! Thanks for including my Pirate flag! Such creative ideas, I really love the pergola! Nice picks. So many great projects. Thanks for including mine. Pinned and scheduled again for later. Great projects! Thanks for including my barstools!